BOARD offers a proven, innovative and unique toolkit approach. The easily-extendable toolkit approach allows organizations to configure highly customized budgeting, forecasting, business intelligence, and performance management (dashboards and scorecards) solutions without writing a single line of code. Neubrain is an elite partner of BOARD with more than a decade of experience working with BOARD Toolkit software. Our consultants have developed a deep technical knowledge and training methodology that can help you not only learn BOARD fundamentals, but also best practice approaches to model design and configuration. The course is for advanced users who would like to develop knowledge of BOARD toolkit application design. The first 2 days of training is for advanced users who would like to develop knowledge of BOARD database.During the next 3 days we will cover objects you can use to build analytical capsules. In the class customers will learn how to create various analysis and reporting objects. Then learn how to link objects to data. Then you will be introduced to the concept of procedures to run calculations within BOARD and setup processes to automate print jobs and data loading routines. Creating data entry environments to perform data entry and simulation will be also discussed. We will also provide tips, tricks, and approaches to developing analytical capsules. 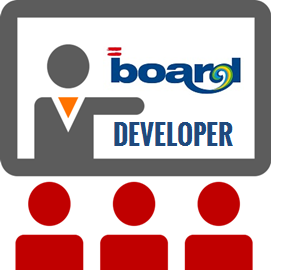 In addition to learning BOARD, this course provides an opportunity to work with your real-life analysis problem, exercising concepts and techniques of analysis and BOARD software skills acquired during BOARD Developer Training to build a prototype of your business analytics application under the guidance and supervision of Neubrain’s consultants.